Welcome to atlas! We are busy exploring and working on new profiles of wonderfully talented photographers from around the world who inspire and empower us. So please check back with us soon. In the meantime, we hope you will enjoy this gorgeous image of the Pacific Ocean, one of many breathtaking images from one of our all-time favorite Photographers of the Week, Andrew Gold! 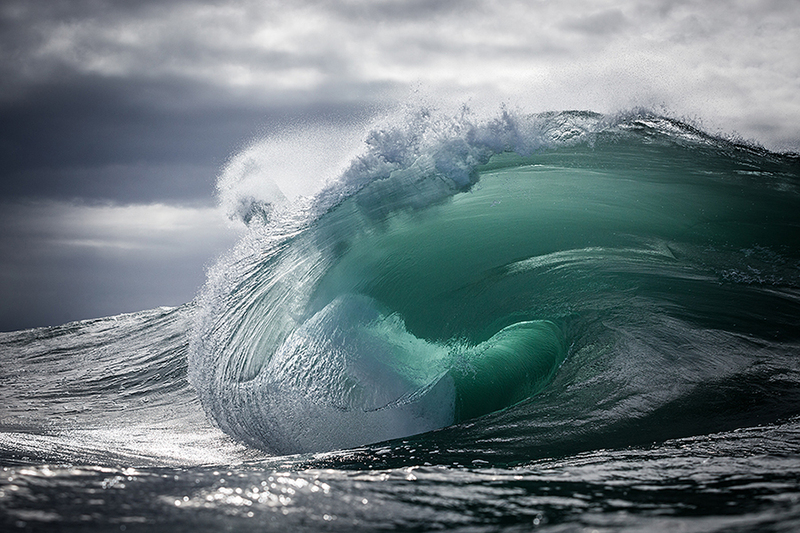 Warren Keelan is a seascape and ocean photographer based in New South Wales, Australia. Initially drawn to music, Warren taught himself how to play and compose music for the guitar and then went on tour for the next decade. Lucky for us, Warren changed gears, picked up a camera and never looked back. 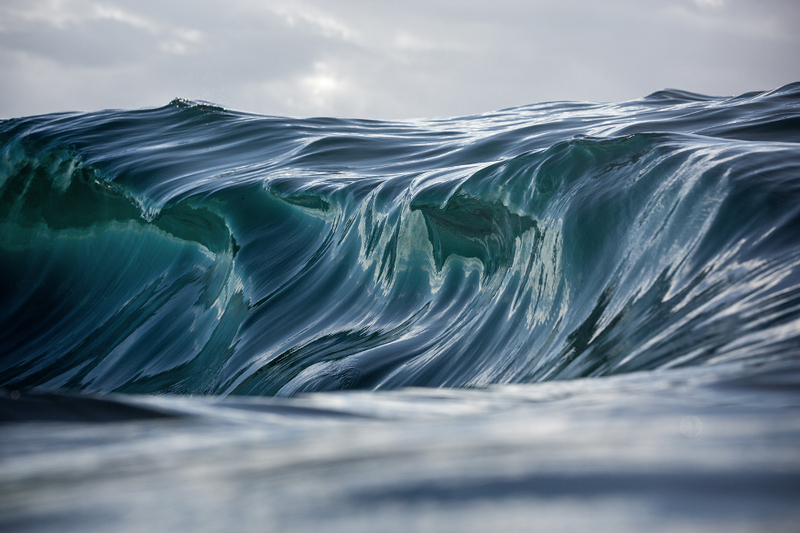 As reflected in these gorgeous images, Warren has an incredible gift for capturing the magnificence and power of the moving ocean. Today he is a highly respected and successful photographer. He has won prestigious international photography awards, including International Photographer of the Year, International Landscape Photo of the Year, International Monochrome Award, and Sienna International Photography Award to name a few. In 2013, Warren opened his first photography gallery in Wollongong, New South Wales where he showcases and sells his works. This week atlas speaks to Warren about why the ocean resonates with him, his approach to ocean photography, and which artists inspire him. 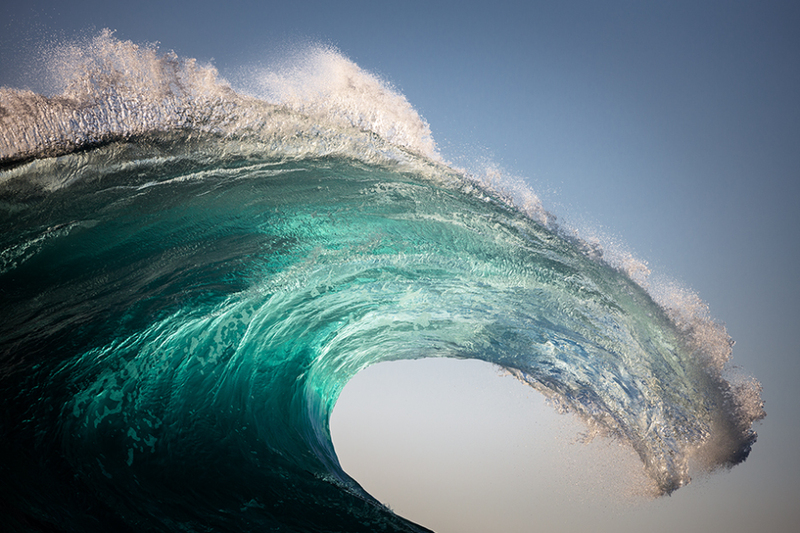 Warren Keelan: I played around with 35mm color and black & white film units over a decade ago but it was not until I purchased my first digital SLR in 2010 did I really see the potential in using the camera as a tool to create pictures. I first began shooting landscape style images of the coast and sea and soon realized I wanted more of a challenge — thinking it would be more personally rewarding to create landscapes from within the ocean itself. I have been shooting on average two to three days per week for the past five years and I am still striving to find unique perspectives of the sea and its inhabitants. As with anything I have done in the art realm, I have really just taught myself along the way. I spent over a decade as a touring musician after teaching myself the basics of the guitar, creating sounds and composing music that I wanted to hear. This might sound strange and somewhat ignorant, but the more I learned about the technical aspects of playing, the more I seemed to lose the mystery of what I was hearing especially from my favorite bands and musicians. As with photography I just saw the camera as a tool to be creative — in this case, with digital and printable artwork. I never learned the technical aspects of say composition, exposure, processing etc but once you understand light and how the camera interprets photons, you can pretty much do anything. I guess you just need an active and vivid imagination. You shoot seascapes and oceans exclusively. What initially drew you in to capturing the water? Did you shoot other genres before focusing on seascapes and the ocean? I have spent the majority of my life in and around the ocean. I have a great appreciation and respect for this natural element and find everything about it and its inhabitants extremely fascinating. I guess the main reason that much of my work revolves around the sea is that it is constantly changing, unpredictable and both dangerous and beautiful all at once. I’ve dabbled in a few different genres including traditional landscapes and portraits etc before delving into what I find challenges me the most; and that is the ocean. All of your images are masterfully composed. What is your approach to photography? A percentage of my work has been conceived prior to heading out into the ocean and a percentage of which just occurred randomly in the moment. I generally have an idea of what I want to create days or even weeks prior to producing an image I feel represents what I hoped to achieve. However, I am mostly dealing with an element that is unpredictable by nature and I am forced to work hard to make a successful image. So the reward is always greater when it happens. 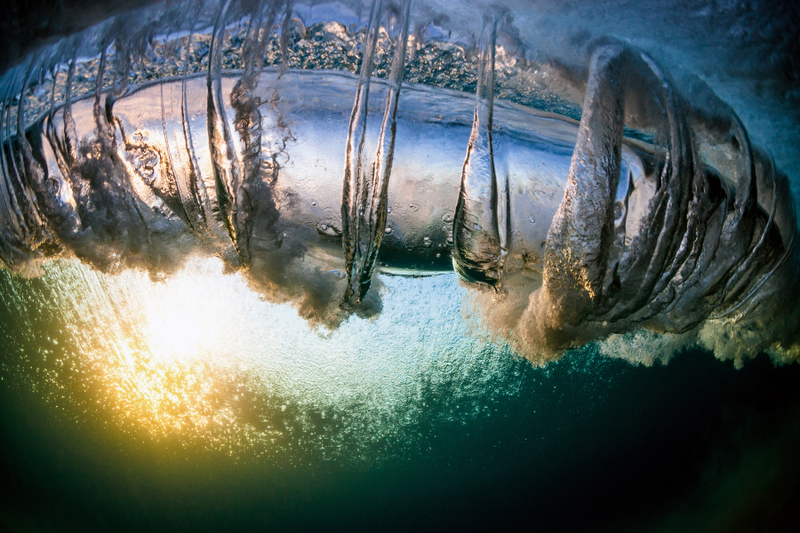 An example of this is my image titled ‘Silver Helix,’ an underwater shot of a rolling wave also known as a vortex. I had an idea of how to capture this scene but found it incredibly challenging as these shapes and patterns only occur for a second or two. At the time, I was only shooting with a camera that had a shutter speed of three frames per second. 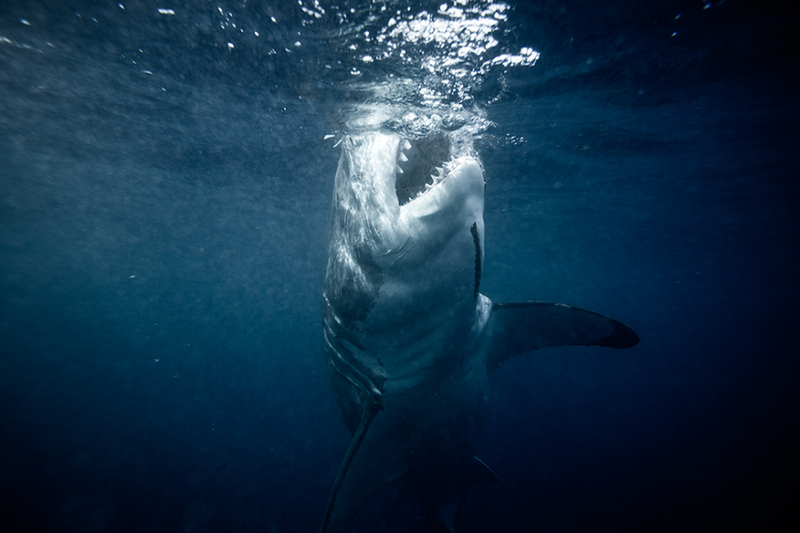 You can imagine how I felt when I looked in my view finder to see the image I had in my mind before swimming out. I feel a great image is one that leaves you wondering. What challenges do you face photographing the ocean (i.e., waves) as opposed to photographing people or landscape? The sea is full of inherent dangers and obstacles that increase the challenge of making ocean images. Avoiding large waves, hard and sharp reef, rips and currents and the aquatic nasties that inhabit the water that constantly play on your mind. I guess with people you can communicate with and control lighting, landscapes you can move about and revisit locations to find the best lighting and compositions. However, with water you literally have no control. You can do your best to position yourself by swimming around, but you are always at the mercy of the sea. The challenge is what I love most about photographing the ocean. What kind of camera and gear do you use? I am currently using Canon 5DMK3’s with Canon L series lenses including a 70-200mm IS II 2.8, 24-70mm 2.8, 16-35mm 2.8 along with a Canon 50mm 1.4 and 15mm 2.8 Fisheye lenses. My cameras, lenses, and flash units are all protected with Aquatech Water Housings while shooting in the sea. I follow the work of quite a few artists but if I had to narrow it down to photography I would have to say the work of Ted Grambeau, David Doubilet, Jon Frank, Trent Mitchell, Luke Shadbolt, Steve Wall, Phil Thurston, Steen Barnes, Dylan Robinson, and Matt Smith to name a few. I could go into the many reasons these humans inspire me but you just have to look at their pictures to see why. You have won numerous international awards for your photography and are well known the world over. How do you stay on top of your game? I have been extremely fortunate to have had my ocean images recognized and awarded by judges in international photography platforms. It’s really humbling when your peers are seeing your work and feel it worthy of a place in a competition. I know it is all subjective but it is still nice just the same. From what I have learned in my short time behind a lens you just have to follow your instinct and break out of your comfort zone in order to progress as an artist. For more information about Warren, visit his website. 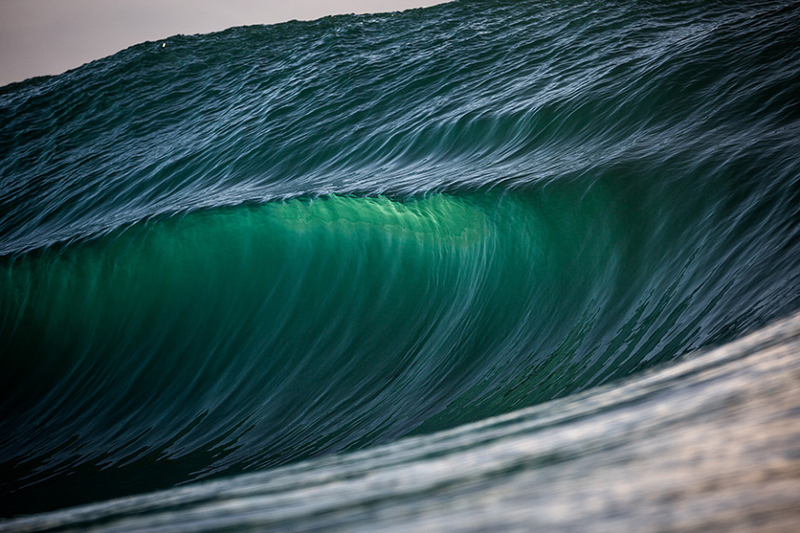 All images © Warren Keelan.